Most articles like this start with a history of the subject. I have found this more difficult than expected to pull together. When looking for historic references of the origin of the knitting needle, they aren’t specifically called out. Some evidence of the origin of knitting needles is the often-cited paintings know as the collectively as the Knitting Madonnas. 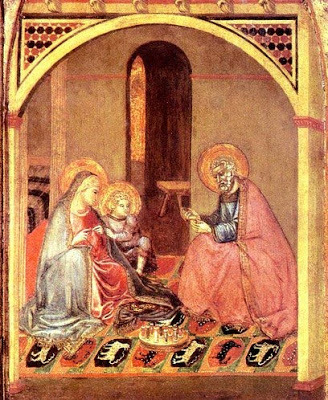 Several paintings from Europe portray the Virgin Mary knitting and date from the 14th century, including the popular Our Lady Knitting by Tommaso da Modena and The Holy Family by Ambrogio Lorenzenti. In Our Lady Knitting, Mary is portrayed using a set of four Double-Pointed Needles to work on a shirt collar. Double-pointed needles are a configuration I would have never imagined as being that old. Who knew?!? 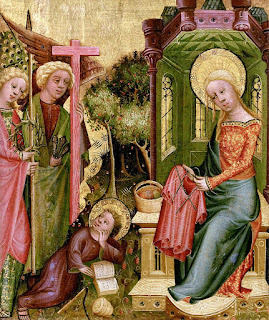 No matter the configuration, materials or size, the origin of modern knitting needles is as old as the craft itself.